WIN A $1000 MATERNITY WEAR VOUCHER! Hey Mama! Is your maternity wardrobe in need of an update? 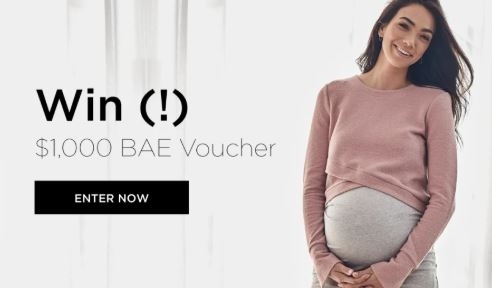 Enter now for your chance to win a $1000 Bae voucher to spend on our extensive range of premium maternity clothes. Don't miss out - enter now!